Make up is an amazing thing, but it can also be very messy!! My hubby is forever telling me I need to clean up my beauty items from the bathroom sink. I'm still yet to find a system that works for me. Do you have a great way to store your make up? A simple and cheap idea is buying a cheap small vase or even using a empty (and clean) jar. Depending on your make up, you can use an empty strawberry jam jar, or a larger pasta sauce jar. Either keep it plain, or use ribbons, glitter, stickers, wrapping paper or contact paper to decorate your jar. 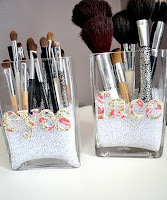 Its best to keep items like brushes and eye/lip pencils that are easy to stand up in the jar. Put some rocks, clear stones, or even rice to help them stay up. 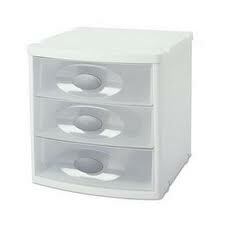 Another cheap option is going to a stationary store and buying a few of their plastic storage containers. The great thing about these are they can be topped on top of each other, so they are great if you don't have much space in your bathroom. 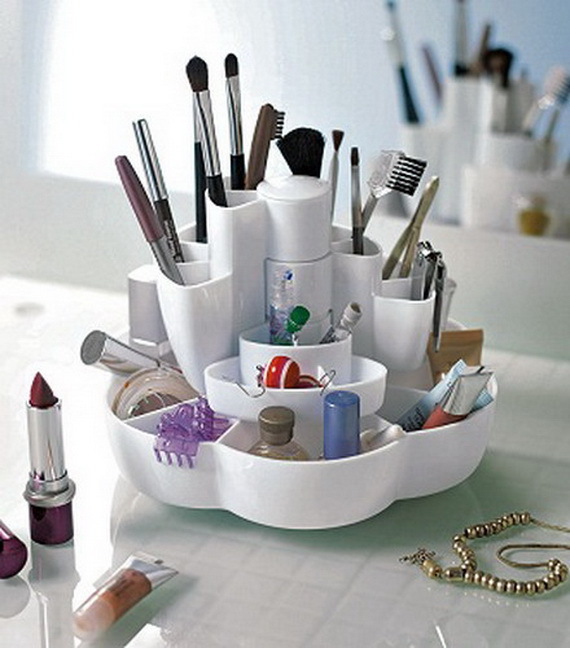 If you love something different, you can use serving dishes or baking containers to store make up. They aren't great if you have children, pets or are very clumsy, as you don't want to drop and break them. This is so gorgeous and girly! I love that its simple, but really effective. Now this is for you really creative girls. 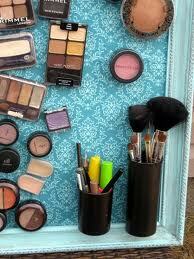 Using a magnetic board inside a picture frame to store your make up. I would LOVE to do this. 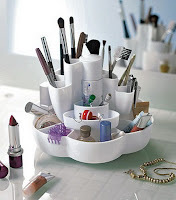 You can truly use anything to store your products. Depending on how much room you have, how big (or small) your budget is and how creative you are, there is an option for everyone. 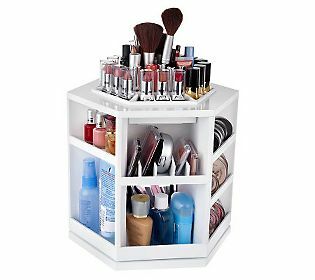 At the moment I have my make up stored in my bathroom cabinet, on the bathroom sink shelf, in the draws and in my wardrobe. 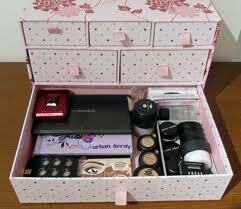 So my new year resolution is to once and for all organise my make up. How do you organise yours? 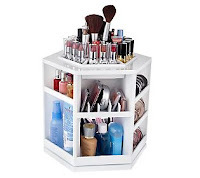 Do you have a great way of storing your beauty products? I LOVE the magnetic board idea! I'm so making one. Feel like making me one to ;) Isn't it fantastic!!! If you can find a gorgeous picture frame, it can look incredible. Otherwise I've seen other pictures of people just hanging blackboards up on their wall. Some great ideas here, thanks for sharing! !